Pomegranates have been cultivated for over 4,000 years. Our word pomegranatedates back to around 750 B.C. and comes from the Latin "Punicum malum" meaning "Phoenician apple." Today the fruit is often called a "Chinese apple." Fruits in general are defined as "the developed ovary of a seed plant" but in the case of the pomegranate fruit, the physical resemblance to a human female ovary is striking. Looking at a cross section of each reveals how similar are the containers for the pomegranate’s seeds and the ovary’s eggs. Lower blood pressure - A small 2004 clinical study by Israeli researchers concluded that drinking one glass a day of pomegranate juice may lower blood pressure, reduced cholesterol oxidation, and reversed the plaque buildup in their carotid arteries by up to 29%. 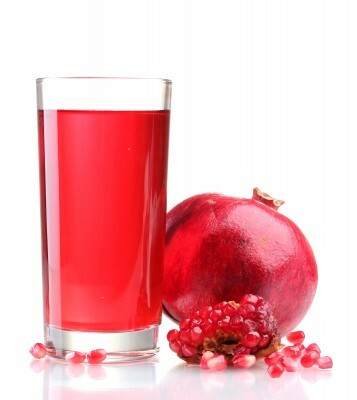 Increases oxygen flow - A 2007 study showed that drinking eight ounces of pomegranate juice daily for three months increased oxygen flow to the heart muscle in coronary patients. 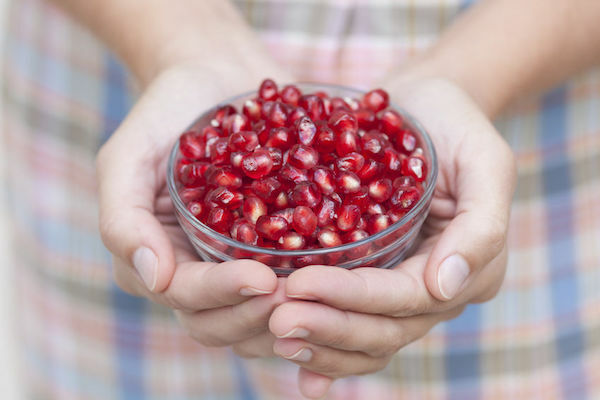 For additional information on the healing properties of pomegranate, visit GreenMedInfo's extensive pomegranate resource page which lists over 80 researched health conditions. Source: GreenMedInfo, "Amazing Fact: Pomegranate Can Serve As A Backup Ovary"
82% of kids aren't eating all of their veggies1. Without enough vegetables, kids may not be getting all of the nutrients they need. Aspartame is a synthetic combination of the amino acids aspartic acid and l-phenylalanine, and is known to convert into highly toxic methanol and formaldehyde in the body. Aspartame has been linked to over 40 adverse health effects in the biomedical literature, and has been shown to exhibit both neurotoxicity and carcinogenicity  What business does a chemical like this have doing in a children's vitamin, especially when non-toxic, non-synthetic non-nutritive sweeteners like stevia already exist? Next, let's look closer at Cupric Oxide, 2mg of which is included in each serving of Flinstone's Complete chewable vitamins as a presumably 'nutritional' source of 'copper,' supplying "100% of the Daily Value (Ages 4+), according to Flintstones Vitamins Web site's Nutritional Info. According to the European Union's Dangerous Substance Directive, one of the main EU laws concerning chemical safety, Cupric Oxide is listed as a Hazardous substance, classified as both "Harmful (XN)" and "Dangerous for the environment" (N). Consider that it has industrial applications as a pigment in ceramics, and as a chemical in the production of rayon fabric and dry cell batteries. In may be technically correct to call it a mineral, but should it be listed as a nutrient in a children's vitamin? We think not. A well-known side effect of using synthetic dyes is attention-deficit hyperactivity disorder. For direct access to study abstracts on this topic view our Food Coloring researchpage. 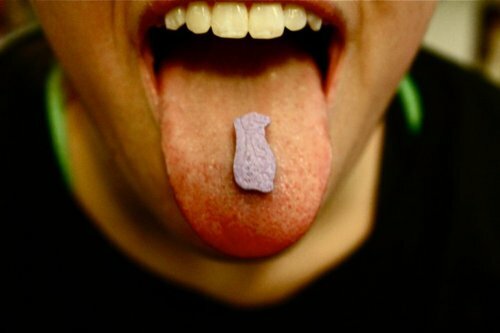 There is also indication that the neurotoxicity of artificial food coloring agents increase when combined with aspartame, making the combination of ingredients in Flintstones even more concerning. Each serving of Flinstones Complete Chewable vitamins contain 12 mg of zinc oxide, which the manufacturer claims delivers 75% of the Daily Value to children 2 & 3 years of age. Widely used as a sun protection factor (SPF) in sunscreens, The EU's Dangerous Substance Directive classifies it as an environmental Hazard, "Dangerous for the environment (N)." How it can be dangerous to the environment, but not for humans ingesting it, escapes me. One thing is for sure, if one is to ingest supplemental zinc, or market it for use by children, it makes much more sense using a form that is organically bound (i.e. 'chelated') to an amino acid like glycine, as it will be more bioavailable and less toxic. Sorbitol is a synthetic sugar substitute which is classified as a sugar alcohol. It can be argued that it has no place in the human diet, much less in a child's. The ingestion of higher amounts have been linked to gastrointestinal disturbances from abdominal pain to more serious conditions such as irritable bowel syndrome. While it can be argued that the amount of GMO corn starch in this product is negligible, even irrelevant, we disagree. It is important to hold accountable brands that refuse to label their products honestly, especially when they contain ingredients that have been produced through genetic modification. The 'vitamin C' listed as ascorbic acid in Flintstones is likely also produced from GMO corn. Let's remember that Bayer's Ag-biotech division, Bayer CropScience, poured $381,600 of cash into defeating the proposition 37 GMO labeling bill in California. Parents have a right to protect their children against the well-known dangers of genetically modified foods and the agrichemicals that contaminate them, don't they? GMO corn starch is GMO, plain and simple. We'd appreciate it if Bayer would label their "vitamins" accordingly. In summary, Bayer's Flintstone's vitamin brand is far from a natural product, and the consumer should be aware of the unintended, adverse health effects that may occur as a result of using it. © [May 28th 2013] GreenMedInfo LLC. This work is reproduced and distributed with the permission of GreenMedInfo LLC. Want to learn more from GreenMedInfo? Sign up for the newsletter here http://www.greenmedinfo.com/greenmed/newsletter.